Card-driven, turn-based battles. The new, faster, turn-based combat puts the focus on the player’s choices. Strategic challenge. Play your cards wisely. Your enemy’s next move is revealed, and you must respond accordingly. Legend! Draw power from the stone circles, drive back the blight. Crack open the secrets of the dark land, and see the myths spill out! Painterly production. 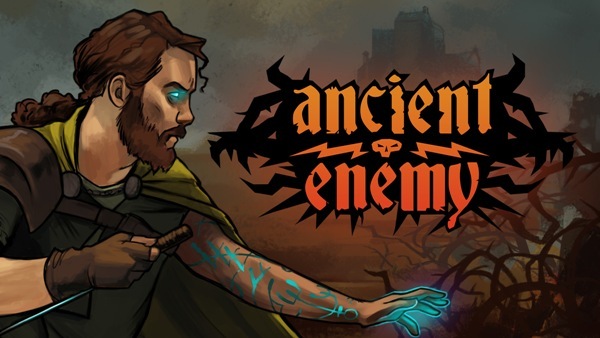 Jen Pattison’s exquisite painted style brings Ancient Enemy to life with expert vision. Jen Pattison is an illustrator & concept artist working in games, TV and film. Her game projects include GAP Project, Steam Marines 2, Quest for Infamy, Roehm to Ruin, Order of the Thorne, and Serena, and has worked with clients including Disney, Twitch, and Komixx.